President Trump called today for an update of America’s decades-old missile defense system that he said would protect the United States from emerging threats — adopting a Cold War stance while also promoting futuristic ambitions with his much-touted Space Force, as the New York Times’ William Broad and Annie Karni report. 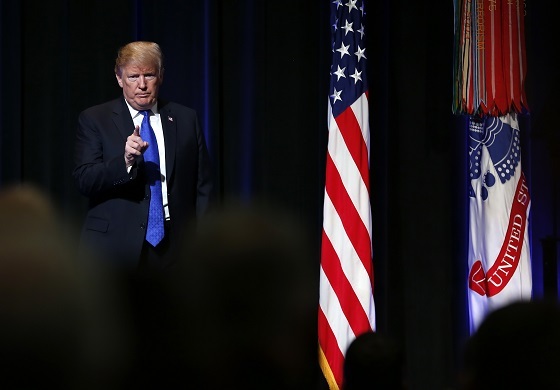 Dive Deeper: “The 2019 Missile Defense Review: A Good Start,” by CSIS’s Tom Karako. U.S. officials are debating ratcheting back tariffs on Chinese imports as a way to calm markets and give Beijing an incentive to make deeper concessions in a trade battle that has rattled global economies, as the WSJ’s Bob Davis and Lingling Wei report. Britain’s last-minute scramble to shape an EU exit stalled on Thursday as Prime Minister Theresa May and opposition Labour leader Jeremy Corbyn dug in their heels for competing visions, as Reuters reports. “Will Jeremy Corbyn Rescue Britain from its Brexit Disaster?” by the Peterson Institute’s Jacob Funk Kirkegaard. Facebook removed 364 Facebook Pages and accounts for engaging in “coordinated inauthentic behavior” as part of Sputnik, a network that originated in Russia and operated in the Baltics, Central Asia, the Caucasus, and Central and Eastern European countries. "I ended the horrible, weak Iran nuclear deal, and I will tell you Iran is a much different country today than it was two years ago. It's not the same, and it won't be the same, and I do believe they want to talk." 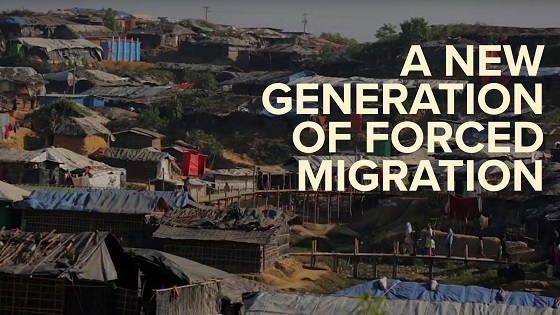 CSIS's Project on Prosperity and Development released a new video today focusing on global forced migration, one of today's largest challenges affecting almost 69 million people. "A New Generation of Forced Migration" emphasizes that the U.S. and its allies must update their strategies to confront this humanitarian crisis. (Photo credit: Martin H. Simon - Pool/Getty Images). President Trump participates in a Missile Defense Review announcement today at the Pentagon. “Afghanistan as Vietnam Redux: Bomb, Declare Peace, and Leave?” by CSIS’s Anthony Cordesman. At 10:30 a.m., The Carnegie Endowment for International Peace will cosponsor an event with The Atlantic to discuss the case for a new American exceptionalism as the basis for American leadership in the twenty-first century. India will hold its national election in the spring of 2019, and government bodies are looking to expand subsidy programs to shore up political support ahead of the election. Today, CSIS experts and leaders from Standard & Poor’s and Moody’s discussed the changes needed for India’s continued economic development, and what might change once political pressures recede. Watch the full discussion here. Trade experts Scott Miller and Bill Reinsch break down the buzz around trade, how it affects policy, and how it impacts your day-to-day. 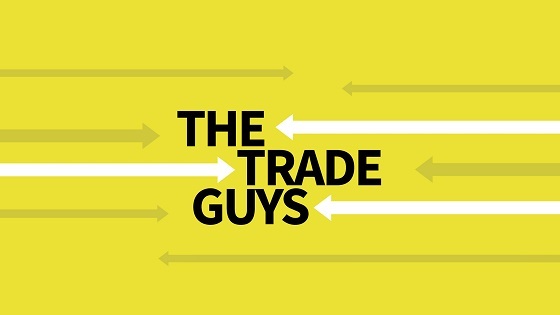 The Trade Guys is hosted every week by H. Andrew Schwartz. Listen on Spotify, SoundCloud or Apple Podcasts. Last week marked the 20th anniversary of the premier of The Sopranos. I miss Tony (the late James Gandolfini), Dr. Melfi, Christopher and maybe most of all, Uncle Junior. Great television has the undeniable power of making certain fictional characters feel like family. It also has the power of elevating even the biggest musical hits to higher ground. And The Sopranos used music better than any show before or since. For example, as successful as Journey was in the late 1970s thru the mid-80s, the band was resurrected 20 years later by The Sopranos during the shows’ famous 2007 series finale. In the final moments of that episode, Tony Soprano plays Journey’s “Don’t Stop Belevin’” on the juke box just before The Sopranos fade into oblivion (depending on your interpretation…). And Journey never sounded so alive.